Grow the Movement. Change Lives. Win Prizes. AZA and BBG—we've got some real membership momentum and together we can make history. 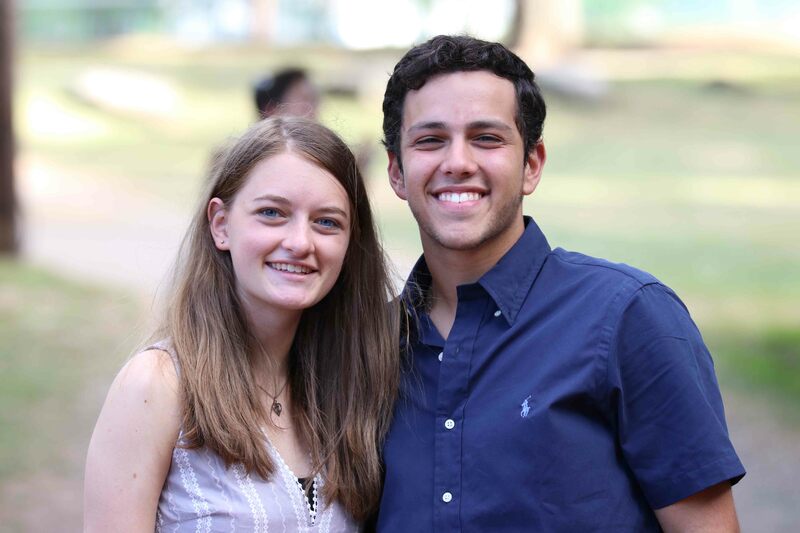 We know that when we bring more Jewish teens together, our experiences are more meaningful and powerful. It's on us to ensure that no Jewish teen misses out on these incredible years. We're so lucky to be enjoying AZA and BBG, and it's every Aleph and B'nai B'rith Girl's privilege to share our Movement with every Jewish teen. This Spring, our Movement will welcome thousands of Jewish teens worldwide. 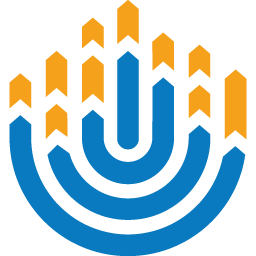 For support with your membership efforts, stop by our Membership Hub for all the tools and resources you might ever need or reach out to your International Morim. We're going big and taking names. We all know a Jewish teen that could be a terrific member, and they're simply waiting for our invitation to join. As a Movement, let's get organized. We need your help to build a far-reaching, North American-wide roster of future brothers and sisters so that we can grow our Movement like no generation of Alephs and B'nai B'rith Girls have done before. As always, if you or your chapter invest in the Movement, we'll invest in you. Obviously, our effort's greatest reward will be changing the lives of thousands of teens for the better, but there's no reason we can't have a little extra fun while we work to strengthen the Jewish future. For every verified North American prospect name you submit, Alephs and B'nai B'rith Girls could win $500 USD toward BBYO International Convention 2020 in Dallas, Texas. The more names you submit, the better the chances of your name being picked! For 36 verified prospects uploaded, you'll receive a limited edition AZA fraternity or BBG sorority hat. For 75 verified prospects uploaded, you'll receive a limited edition AZA or BBG letter sweatshirt. The Aleph and B'nai B'rith Girl with the most verified prospects submitted will win a BBYO swag pack and select from grand prizes of their choice including Apple AirPods, Amazon Echo, BeatsX, and Snapchat Spectacles. And if that wasn't enough, we have some special surprises in store for those of you that participate during upcoming Recruitment Rallies, at your local Convention Prospecting Parties, and more. We hope you'll join us in the fun. Bring a name to play the game. Use the link below to begin submitting names. You'll be prompted to sign-in to myBBYO before you submit so we can confirm who is uploading. Forgot your password or have trouble logging in? Don't worry—hit "Forgot Password" or email our Customer Service Team and we'll help you out as soon as we can. Note: All submitted prospect teens will be confirmed as new before counting toward your total submission. Updated as of Monday, April 22 at 5:31 PM EST. MRIHA is way more fun with friends. Join us on Zoom for ongoing Recruitment Rallies and Hangouts throughout the Spring. We're stronger when we work together. Don't miss out. Save the dates for our mega-recruitment rally nights throughout the Spring. Call times are subject to change, check back to stay up to speed. When it's time for the call, clink on the dates below! On Thursday nights, from 7:00 PM EST to 11:00 PM EST join us for some informal recruitment hangouts to support participating teens in finalizing their membership with their local AZA, BBG or BBYO chapter. Click here when it's hangout time! Let's celebrate you and your chapter. Year round, the Tree of Life and Eternal Light Awards celebrate Alephs and BBGs who have recruited six new teens into our Movement. In addition to the beautiful pin and certificate you'll receive for this award, any Aleph or BBG who recruits six new members between March 19 and May 19 will receive a limited edition 75th or 95th Anniversary Patagonia pull-over. If your chapter wants to compete as a team, we'll donate $75 USD to your chapter's treasury for every six teens you welcome as new members. Pretty sweet deal! Hop on over to our Awards page to start your application. Work as a Chapter. Win as a Chapter. Dozens of chapters across the Order are having milestone years. If your chapter is growing, or is about to have a big Spring, check these opportunities out. 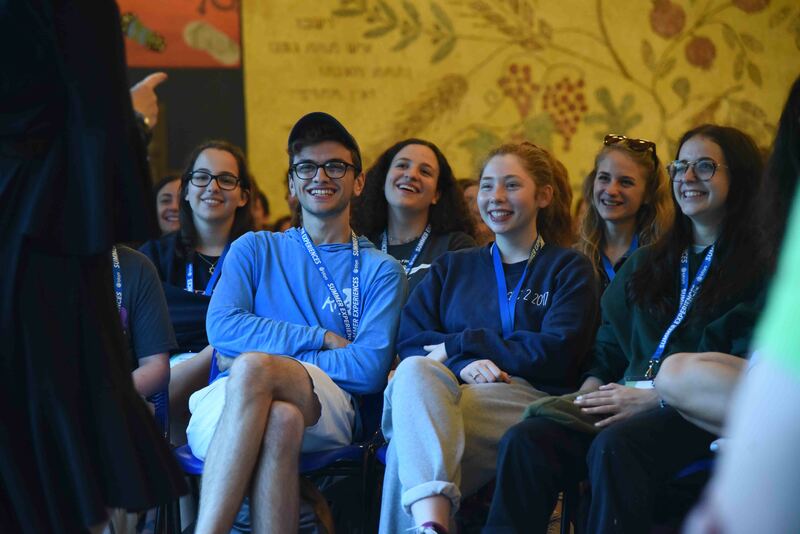 We want to celebrate all that you're doing to maximize the inspiring Jewish experience you're providing to young men and women in your communities. Any chapter with a membership of less than 24 members as of March 19, and doubles by May 19, will win a professionally designed line of chapter swag, or up to $360 for their chapter's treasury to utilize for programming. Any chapter with a membership of more than 25 members as of March 19, and grows by 50% by May 19, will win a professionally designed line of chapter swag, or up to $360 for their chapter's treasury to utilize for programming. Any chapter that achieves these milestones by April 15 will win additional Founders' Day or Chapter Convention Gamechanger Grants to close the year with a bigger event than ever! If you're in the process of starting a chapter or chartering a chapter, you can win big, too. If you move from a Start Up Community to a Temporary Chapter or a Temporary Chapter to a Permanent Chapter before June 1, you're eligible for some special prizes listed below (as well as the others listed above). Learn more or get started on the new chapter chartering process through the portal below. 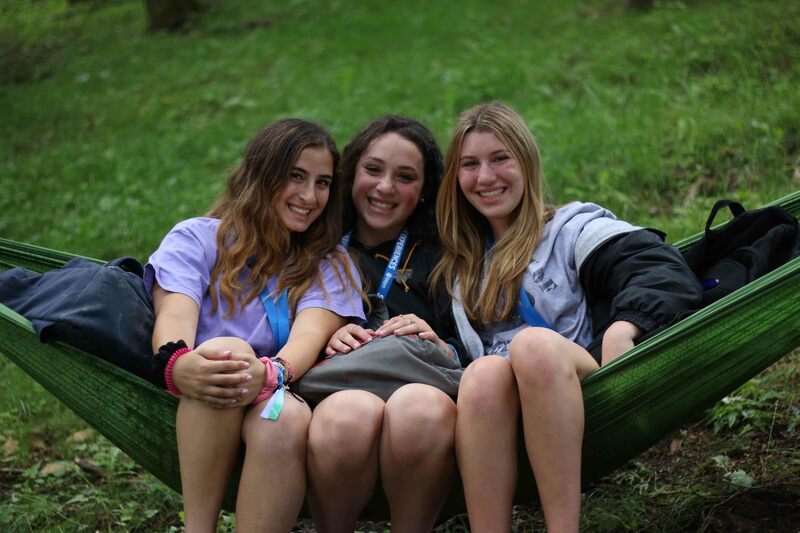 All Alephs and BBGs who start new chapters will join this year's Founders Society class. 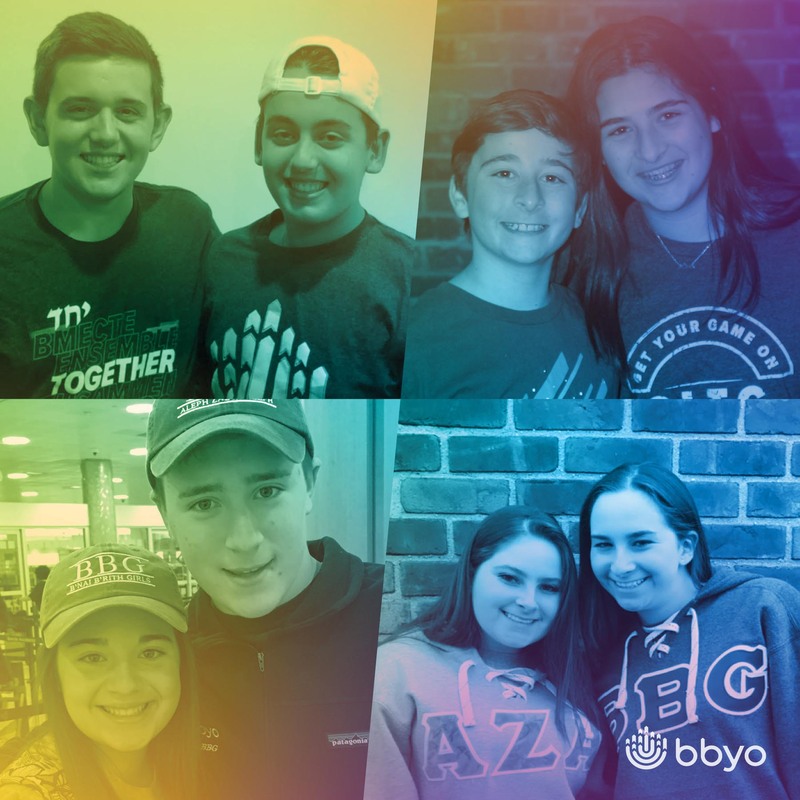 BBYO's Sibling Day Campaign is on! The first 150 Alephs and BBGs who sign up their brother, sister, cousin, family friend, neighbor, or pal that feels like a bro/sis, will receive limited edition AZA and BBG flags for their rooms. Plus, you'll both be entered for a chance to win $150 Amazon gift cards. Send new brother Alephs and sister BBGs to bbyo.org/join and make sure you fill out the form to get your hands on some swag!